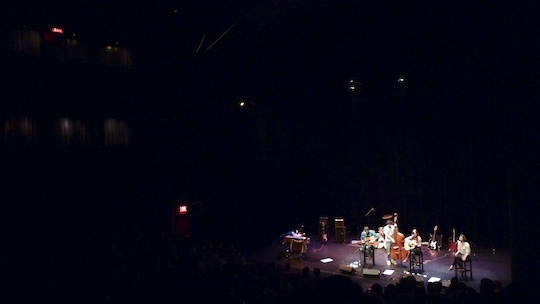 On Friday night, the Dirty Projectors unveiled their new, six-piece line-up at the Walker Art Center in Minneapolis, MN. Last year’s quartet has been filled out by former Projector Nat Baldwin on bass and new addition Haley Dekle as a third female vocalist. The set included a number of breakout sets by small combos derived from the new membership. There was also a raging afterparty at a local bar.